6 Responses to Bookies Closed Me Down! I have been with . Paddy power , sky bet and William hill ,, and they have all at one time restricted the amount I could bet through there sites ,, even thou I have lost 1000s over the years in the last 6 month have been doing ok ,, so I lose say 500 pound in day ,, last race I want to put a large bet of about 100 200 500 pound and they tell me I can only put £46.56 max , they have all done this to me and its wrong ,,, they have also asked for proof off identity driving licence utility bill ,,, they never did this all them years I was losing ,, toss pots !! The safest way is always place smaller amounts over a number of accounts and use shops to place larger amounts, we have a number of bookies in a 3 mile radius so move around to different shops and bookies. One shop may restrict you for a time but as their so many to choose from just keep moving and not use any promotional gimmicks. I had similar problem with BetVictor. Opened a new account to get some free bets (thats what these freebets or for arn’t they – to attract new customers). 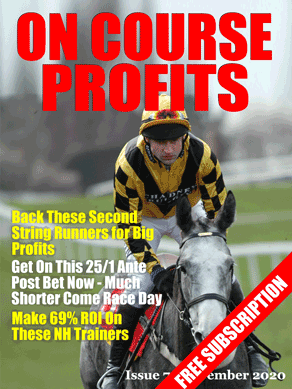 Placed quaifying bets and laid them off with pbetfair.Placed free bets and laid them off with betfair. All back bets won with BV, only small stakes £5 or £10. BV closed my account straight away, no appeal, saying I was not the kind of customer they wanted!They don’t like winners it seems, even to small stakes. so nothing has changed bookies are willing to take you bets when you are not winning ,I think going on course although not always possible is the best way to overcome the problem ,bath races 19th april.